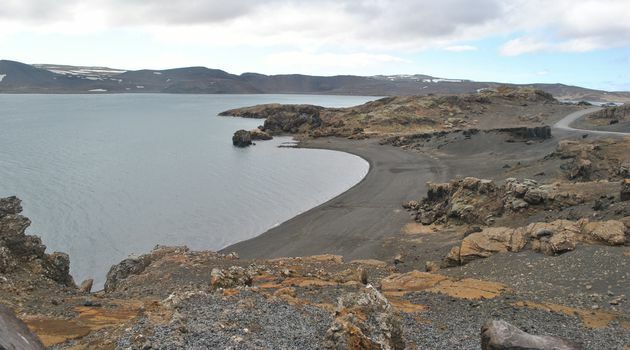 Lake Kleifarvatn spooky secret: legend has it that this 1km long lake is home to a whale-sized worm although there have been no confirmed sightings! The lake is eerie and surrounded by a jet black lavascape, black cliffs and black sand shores. 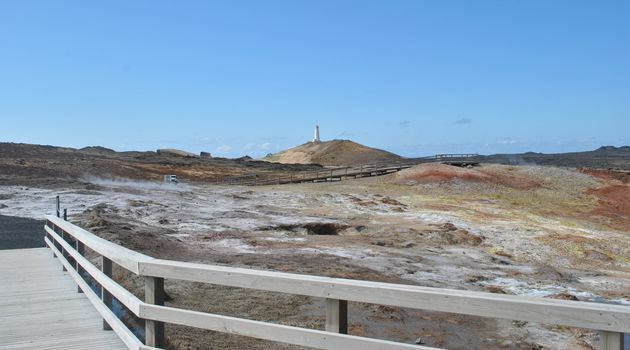 The Monster truck excursion then takes you to Krisuvík where you can walk amongst hissing steam vents, solfataras and bubbling mud pots with the unmistakable smell of sulphur hanging in the air. You‘ll also be able to feel the power of Mother Nature beneath your feet as the ground seems to rumble. The tour continues with visits to the small fishing villages that dot the area before reaching the tip of the peninsula. 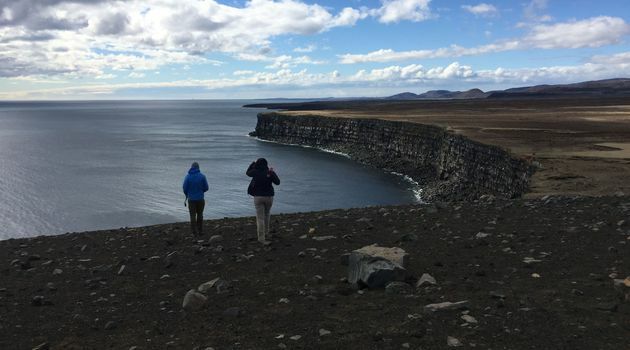 Here you will find the roaring North Atlantic and huge bird cliffs which stand guard over moon-like, craggy lava fields. We will then proceed to the Blue Lagoon, from where you can be dropped off at the airport upon request. 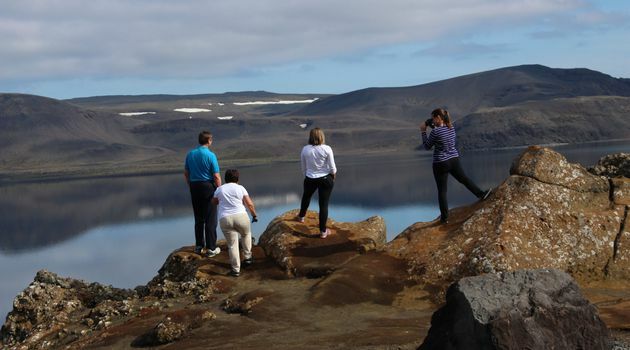 This tour lasts highly recommended by us for those who have limited time to experience Iceland. Airport drop-off is not included in the price of the tour. 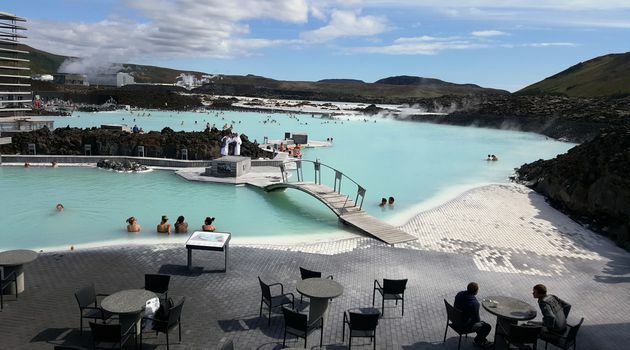 Admission to the Blue lagoon is preselected and included in the price, Depending on availability This tour lasts 7-8 hours. 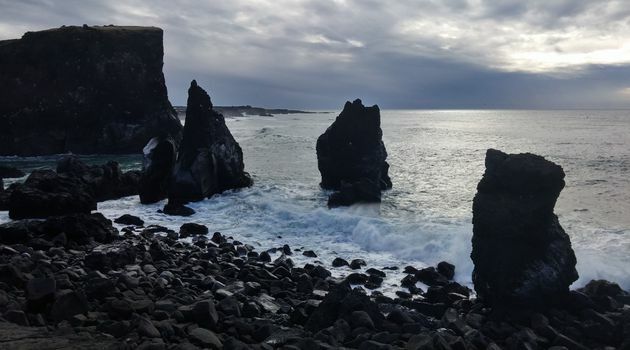 Free pick-up from your hotel in the capital area begins at 8:30 Reykjanes Peninsula & Blue Lagoon Safari highlights: Lake Kleifarvatn Krísuvík Geothermal area Hot springs Mud pots Lava fields Bird cliffs The Bridge beetween the Tectonic plates Reykjanesviti Lighthouse Gunnuhver hotspring area Blue Lagoon The tour runs all year around. From Rate you can choose whether you travel in in our famous Superjeep (up to 6 persons) or Monster truck (up to 10 persons) or in Luxury SUV (up to 6 persons) . The main difference is that we do not go off road on Luxury SUV and you will have easier access and more comfort.